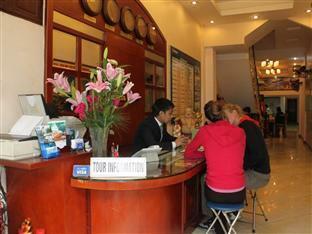 The Green Street Hotel is perfectly located for both business and leisure guests to Hanoi. The Green Street Hotel has 22 rooms which are all nicely decorated to provide a memorable stay. Each of The Green Street Hotel's guestrooms offers non smoking rooms, air conditioning, desk, hair dryer, internet access (wireless), internet access, in room safe. This beautiful Hanoi accommodation provides 24hr room service, laundry service/dry cleaning, restaurant, room service, safety deposit boxes, salon, hotel/airport transfer, tours to suit all guests' utmost convenience. Along with its convenient location in Hanoi, The Green Street Hotel also offers a wide range of services and facilities to the guests. For your reservation at the Green Street Hotel, simply submit your dates and complete our secure online reservation form.